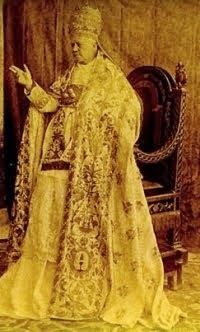 It is not uncommon these days to hear a lot of criticisms about the discipline of priestly celibacy.Of course, liberals and anti-Catholics have always condemned the custom, so that is nothing new; rather, I am speaking of individuals within the Catholic Church itself who are increasingly stressing the reformable nature of the discipline and suggesting that there may be good reasons for altering it. In my opinion this is nothing other than a collapse of Catholic discipline before the force of modernity pushing the artificially contrived "vocations crisis." I am not going to argue that point here. Rather, I want to examine one of the common complaints made against clerical celibacy and draw attention to a point that is very often neglected in contemporary discussions. This common critique of celibacy is that it is too challenging, too much of a struggle to expect of the priest. As a result, by imposing this on our priests we are setting them up to fail, so the argument runs. I would immediately respond that this need not always be the case; many saints have practiced celibacy and have described it as a precious sweetness. When practiced holistically in union with fervent prayer, apostolic labors, and penitential disciplines, celibacy can be a sweet yoke. But let us grant the premise for the sake of argument. Celibacy can indeed be a challenge. Being abstinent until I was married at age 20 was very difficult at times, especially in a world when all of my friends were becoming sexually active around age 14. I don't claim it was easy, but I do claim it was worth it. This sort of abstinence is not the same thing as clerical celibacy, but it does give the average lay person an insight into how difficult celibacy can be at times. Thus, I do not deny that many priests may struggle with fidelity to the practice of celibacy. Even if a priest does not fall into a formal lapse, I can imagine it is a challenge to remain faithful to it in spirit and mind. Living without the caresses and intimacies of a woman can be difficult. But the real question we should ask is whether fidelity to this discipline is any more difficult now than it used to be? I contest that it is more difficult, that living celibacy in this culture is more challenging than in prior generations. Of course, moving from a society that glorified celibacy to one that denigrates it is one reason. This is what we all know. The discipline itself has not gotten more difficult, the conditions in which priests are compelled to observe it have. And many priests do in fact report in anonymous surveys that the celibate state is a real challenge for them. I propose that one of the major reasons there is so much struggle is not because of cultural considerations, but because of the very simple and overlooked problem of living arrangements. The fact of the matter is, the modern priest is more than likely forced to live out his celibate vocation in solitude, whereas his spiritual ancestors centuries or even a few decades ago lived it communally. 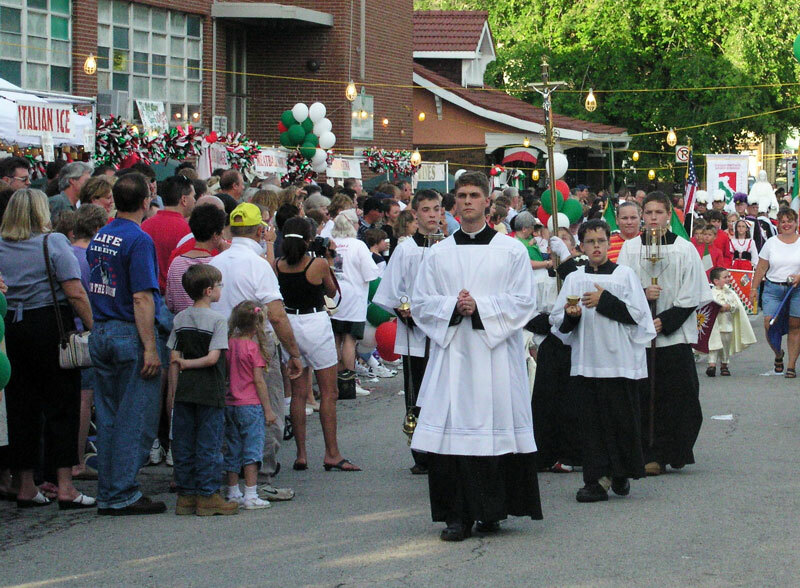 Our parish is one of the oldest parishes in the state of Michigan; in fact, the oldest English speaking parish. The rectory our priest lives in dates from the Victorian era and is set up to house four priests. Even though our parish, even now, is out in a rural region, even though it was a mission parish for much of its history, even though it seldom had more than 1,000 active families at any one time, nevertheless, even this parish was staffed with multiple priests for much of its history. You may have noticed the same thing at other pre-Conciliar rectories - living arrangements in place for multiple priests. In our priest-starved Church, it seems miraculous that seemingly every parish, right down to the most rink-a-dink rural mission, should have more than one priest. Yet this was in fact the case. The priests of yesteryear lived in community. Yes, they observed celibacy, but they were never alone in this. They were always walking the same path with some brothers-in-arms who were fighting the same fight and who could understand them. First, there is no support. The priest has nobody on hand who understands his struggles, whether with celibacy or with any other cross of the priestly life. He must drive to another parish to talk to another priest. Thus, the support structure is considerably weakened. A priest in this situation feels his solitude much more profoundly, is more likely to suffer in silence, and is less likely to find a sympathetic pillar of support who truly understands his struggle. And don't tell me that placing newly ordained priests as associate pastors for two year assignments before they take their own parish is sufficient. The support needs to be continuous. Which priest will have a better time, he who returns home in the evening to a rectory with three other priests gathered in the parlor reading, smoking their pipes and encouraging one another, or he who returns home to an empty, desolate house? Second, a priest living in solitude has much greater oppurtunity for "shenanigans." We will not belabor ourselves here defining "shenanigans", but you can use your imagination. Let's just say that a priest with three other priests living in community with him is less likely to have opportunity for "shenanigans" than a priest who has lived alone for ten years. Finally, lack of community means no accountability. Who will encourage the weary priest to get up and say the Divine Office? Who will ensure that he says his Rosary every day? Who will be on hand to speak to the bishop if there are any troublesome irregularities noted? If the priest lives alone, then the answer is nobody. There is no other person on hand to hold the priest accountable for his personal conduct and prayer life. If a priest living in community were, for example, to leave off saying the Divine Office entirely, would not his brother priests notice this immediately and be in the right position to correct him? But suppose a priest who lives in solitude gives up saying the Divine Office, perhaps even for many years. Who will notice this? Who will be able to correct him? And if the priest gets used to having no one who holds him accountable, will his lapses not turn into a general pattern of lukewarmness and compromise, and the whole Church suffer as a result? The benefits are clear, and the practice is hallowed by tradition. But, it might be objected, this all sounds fine and good, but so long as we are not getting vocations, this is all pointless - kind of like explaining to a poor man all the things he could do if only he had a million dollars. Without solving the problem of how to get more priests, discussing about how we would arrange these priests is idle speculation. True, to some degree. Placing priests in community supports vocations, buttresses vocations, and makes them more fulfilling, but it cannot in itself directly create them. But we traditional-minded Catholics already know the key to vocations; we already know what sorts of communities and dioceses are reaping a rich harvest of vocations. The vocations crisis could be solved tomorrow if our leaders wanted it solved. And as more vocations come in, our bishops need to rediscover the communal orientation of priestly life. It is this communal life which serves as the foremost buttress of clerical celibacy. We need priests to live together, in a community, as they were meant to. Then celibacy becomes sweeter, vocations more fulfilling, priests in turn become better, and consequently better role models, and thus we reap more vocations, have more priests to live toegther, celibacy becomes still easier, and so on, until our rectories are full again, parishes are being built instead of closed or clustered, and the "earth is filled with the knowledge of God as water fills the seas." (Hab. 2:14). Recent USC Articles - Luther, Greenland, Sedevacantism and more! There have been a lot of great posts on USC in the past month, though I have not been able to post as much as I would have liked. 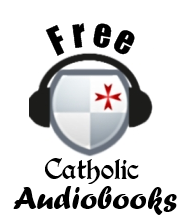 There's some wonderful stuff on Luther, Sedevacantism, biblical contradictions, a new RCIA lesson plan, and much more. Please check it all out, forward to your friends, and if you are so moved, consider making a donation to the upkeep of this blog and website. I put countless man hours into it, not because I seek anything, but because the Lord says "my people perish for lack of knowledge" (Hos. 4:6). Donations help me pay for different plug-ins for the website, pay the hosting fees, and other things associated with maintaining a web presence. And where else can you find this much cool material? Okay, I am tooting my own horn a bit, but please consider it. Click the button below to donate; anything is appreciated, and I will remember you in my prayer intentions before our Lord. I also want to introduce a new addition to the team whom you will never see but who is vitally important: John from Edinburgh, Scotland. John, noting that most of my website articles are pitifully laden with misspellings, typos and other grammatical problems, volunteered to take on the thankless task of sloughing through all my material to clean it up a bit. From here on out, you should not be seeing the typos anymore - Lord willing. God bless John. Glosses reveal a Gnostic Luther: A collection of notes and glosses in Luther's own hand, only recently compiled, reveal that Luther, far from being an Augustinian, despised Augustine and admired the Manichees. Sedevacantism and the Alleged Loss of the Four Marks: Reprint of an old Sedevacantist rebuttal article from the now defunct Athanasius Contra Mundum. The Distraction of That One Sin: Some meditations on what to do if you feel your spiritual life is dominated by a struggle with a single sin. A Visit to Greenland's Hvalsey Church: Undoubtedly one of the most remotest churches of the Middle Ages, and one of the best preserved. Contradictions in the Bible, Part 2: Another 65 alleged contradictions rebutted. Protestant Implications for Doctrine and Unity: Without an authoritative, visible Church on this earth, what do terms like "doctrine" and "unity" ultimately come down to in Protestantism? Roman Frescoes and the English Martyrs: One of my favorite historical articles I've ever written, the interesting story of how some old Roman frescoes helped in the beatification of the English martyrs. This weekend I was blessed to be able to attend the 2013 Catholic Identity Conference in Weirton, West Virginia. I normally don't go to these sorts of events, as usually the money and time are not available. But, thanks be to God, I was able to find some time and fund the cost of the trip entirely from the proceeds from the Unam Sanctam website (before you start thinking I am making a ton of money, let me rephrase that to say that attending this conference exhausted the proceeds from the website). And who could resist the lineup of speakers? Chris Ferrara. Michael Matt. Michael Voris. John Vennari. John Rao, and many more. I have neither the time nor the competence to comment on every talk I heard, but I will summarize a few that really stuck with me. Michael Matt of the Remnant (pictured above) gave a very thought-provoking synopsis of the current state of the traditional Catholic movement. The crux of his talk was that we need to start moving from a subjective to an objective defense of the traditional Mass and traditional Catholic piety. Too often we are content to say that we "prefer" the traditional Mass because of its beauty, because of how it ministers to our spiritual needs, etc. These are all great reasons for loving the old Mass, but they are ultimately subjective. 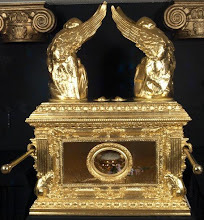 There are very real objective arguments for Catholic tradition, arguments that still maintain the validity of the Novus Ordo while pointing out that the equal validity of the new and old liturgy does not mean strict equality. These arguments have already been laid down in their basics by Fr. Ripperger and summarized here by my at-large co-blogger Anselm. 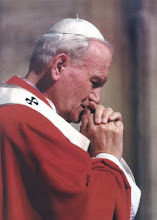 He also argued passionately for traditional Catholics to close ranks with each other, despite differences of opinions on many important matters, as well as with any Catholic who can honestly profess the Creed, in the interest of promoting tradition in a more positive manner, so that, in his words, the traditionalist movement no longer resembles "a firing squad arranged in a circle." John Vennari's talk was on something I have spoken of before, precision of language. He noted that in Catholic tradition, one spoke about man's condition on this earth and a struggle between two "kingdoms", the Kingdom of God and the Kingdom of Satan (or, per St. Augustine, the City of God and the City of Man). These cities are in irreconcilable conflict, and to be saved, one must be translated from the Kingdom of Satan to the Kingdom of God. He contrasts this precise language with the more common but vaguer notions of the "Civilization of Love" versus the "Culture of Death" and opined on the insufficiency of the latter formulations. There is nothing particularly Christian about the "civilization of love", and this phrase lends itself to misunderstanding as a kind of loose union of Christians with all people of "good will," which in turns lends itself to a diminishing of the idea of conversion and translation from the kingdom of darkness to the kingdom of light. Michael Voris of Church Militant TV gave a talk on the homosexual crisis within the Church. His presentation consisted of a crosscut view of several dioceses around the country and their respective problems with homosexuality. The picture he painted was appalling. He tells of one story, related to him by a priest of the Archdiocese of Detroit, who stated that he refused to attend the Archdiocesan Christmas parties anymore because "he was sick of getting introduced to priests' boyfriends." The situation in Detroit is not unique. His research, culled from countless interview with priests and diocesan employees from around the country, reveal a picture of diocesan bureaucracies firmly under the power of the homosexual lobby. Given this fact, the assertions that the Church is not in crisis or that there is no problem with homosexuality in the Church are laughable. As a side note, I want to mention that during the intermission, my friend and I had the opportunity to buy Michael Voris a drink and sat chatting with him in the lounge for over an hour. He was wonderfully down to earth, gentle, extremely humble, and not at all the bitter demagogue he is reputed to be. Chris Ferrara gave a talk on the current state of quantum physics and its relation to Thomistic philosophy. While this talk was far too technical for me to summarize adequately here, the gist of the message was that the current knowledge we have of quantum mechanics actually confirms an Aristotelian-Thomistic worldview. The problem of the "indeterminacy of matter" (that particles and the quantum level seem to fluctuate between being a wave or a particle, being here or there, moving or not) that plagues quantum physicists is due to the fact that physicists do not understand quantum particles in terms of the prime matter of Aristotelian hylomorphism - that is, matter in a state of pure potency without any act. This state of pure potency explains why they are so indeterminate; they do not have the "form" to put them into act. Science thus far as been unable to explain why matter at the quantum level is indeterminate but possesses stability at the classic-Newtonian level. Ferrara posited that this was due to the fact that form, which puts the matter into act, is not empirically verifiable, but is imposed on the matter by God.We had a chance to chat with Ferrara for awhile afterwards about Austrian economists ("slippery fellows", according to Ferrara) among other things. James Vogel spoke representing the Society of St. Pius X. I do not follow what goes on with the Society, but I thought Mr. Vogel represented them very well. The crux of his talk was this question: The SSPX has been known over the past few decades for their criticisms of some of the documents of Vatican II, which the Society believes are problematic. Mr. Vogel stated perhaps 5% of the teaching of Vatican II was questioned by the Society. 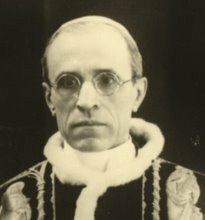 However, since more and more people are beginning to look more critically at the documents, even critiquing them for ambiguity or discontinuity (as Athanasius Schneider and Walter Kasper did), why is the Society still in an irregular status for affirming the same things that many people in good standing are beginning to affirm? On the Term "Extraordinary Form"
I have a concern on constant using the EF term on this blog. 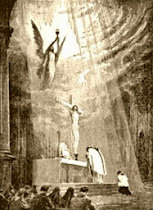 In a sense provided by Summorum pontificum, that the NO and TLM are different expressions of the same lex orandi, and two forms of the Roman rite each having its own value and without any defects in any of them, I consider it unacceptable for a Traditionalist in the positive sense because it automatically implies that the NO is in no way inferior to the TLM and that it contains no defects, which in itself is deeply contrary to the main tenets of Traditionalism. So I find it very strange for this blog, which according to all other contents, surely is traditional, to constantly keep forcing this term. Thank you for voicing the concern! First, the phrase does not denote that both rites are equal or that the Novus Ordo does not have serious issues. The term denotes only that there are two expressions of the Roman Rite, which is all Benedict XVI meant to imply by using the term "Extraordinary Form"; to say there are two versions does not imply that the Ordinary Form is without problems (although it does imply the Ordinary Form is valid and licit, which neither I nor most Traditionalists deny). Benedict XVI himself did not think this language was a problem. After all, he called the Novus Ordo a "banal, on the spot production." Since he never recanted or altered this opinion, we can presume that he still thought the same at the time he gave us the terminology of Ordinary and Extraordinary. Second, just linguistically, "Extraordinary" can signify "out of the usual" or "not normative", but it can also signify "Better than ordinary", such as "This work is of extraordinary quality." Whether or not Benedict XVI meant the term in this latter sense, it demonstrates that there is no inherent equality in using the phrase Extraordinary Form. We could even argue that it implies an inequality. Third, neither Traditional Latin Mass nor Tridentine Mass are any more accurate. "Tridentine Mass" seems to attach the Mass too much to the Council of Trent, when in fact we know it goes back to Gregory the Great. When we say "Tridentine Mass", we unintentionally injure our own arguments because we make the Mass a thousand years younger than it is. "Traditional Latin Mass" seems to suggest that the most distinguishing fact about the traditional Mass is that it was in Latin. If Latin is the fundamental point of contention, then there is no real objection against a Novus Ordo in Latin. Now I know those who use the terms TLM and Tridentine Mass do not mean to imply these things, and I would not dream of suggesting you do. Similarly, when I use the phrase Extraordinary Form, I do not mean to deny or minimize any of the very real issues with the Ordinary Form, nor do I think did Benedict XVI when he coined the phrase while simultaneously maintaining that the NO was a "banal, on the spot production." Finally, we could argue that because the Roman Pontiff has himself chosen this terminology after much reflection, this is the most appropriate way to refer to it. This terminology preserves the unity of the Roman Rite while acknowledging the very real distinctions between its two expressions. And I think Extraordinary Form is preferable to Vetus Ordo. Just my opinion. I'm not going to insist on saying EF. Sometimes I still say TLM or Tridentine Mass. But it's good food for thought. Since the promulgation of Summorum Pontificum, it has been more common for people to be able to attend the Extraordinary Form Mass at a parish which is not strictly devoted to the EF Mass. My primary exposure to the EF Mass is at my diocesan parish, which celebrates in the Extraordinary Form at least once a month as well as on special feast days and octaves. The parish is not dedicated exclusively to the Extraordinary Form, and though quite a number of parishioners attend the monthly EF Mass, I'd venture that more than half do not. It remains primarily a Novus Ordo parish. But if less than fifty percent attend the EF Mass, that's not to say the EF Mass is not well attended. Every month at the EF Mass, I see a ton of people who I know come here just for that monthly Mass. Where they go the other three Sundays or for weekdays, I have no clue. I just know they are not parishioners of our parish. Which leads me to reflect on the question of attendees of the Extraordinary Form and parish life. Unless you exclusively attend a parish specifically set aside for the EF Mass (like those run by the Fraternity), chances are you attend the EF Mass at a Novus Ordo parish. Perhaps you manage to attend only the Extraordinary Form by bouncing around between three or four parishes who each offer it once per month; perhaps, like me, you attend a mixture of the Novus Ordo and the Extraordinary Form. Perhaps you attend a Fraternity parish or an old indult parish but occasionally attend EF Masses at diocesan parishes. There is no arrangement that is right and no arrangement that is wrong. But what I do want to stress in this post is that, whatever your Mass arrangements are, you need to be involved in parish life at some place. If you attend a parish exclusively devoted to the EF, then this is your home parish and it's probably not an issue. But if you are one of these folks who bounce around to four different EF Masses a month, I ask you to reflect on whether or not you engage in the parish in any other way? Do you attend the Labor Day or St. Patrick Day festivals? Do you volunteer at parish activities? Do you attend other liturgical devotions, such as Stations or First Fridays? Sign up for a Holy Hour? Go with the parish to the local soup kitchen? Volunteer to chaperone at a kids event? Help with VBS? Work at the Lenten Fish Fry? Put money in the collection basket? Attend the annual parish missions? Show up for the spring cemetery clean up? There's a multitude of ways it can happen, but the bottom line is you need to be involved and engaged somewhere. There is a saying in the Church dating from the Council of Trent, "No cleric without a superior"; there is a similar corollary, "No parishioner without a parish." Were a person to simply bounce around to four EF Masses at four different parishes each month and never actually get involved or engaged at any particular parish, I think that person would be in the wrong. It's not for me to say where, or how this engagement must look concretely, but you must be engaged. After all, how else shall we tell others about the beauty of Catholic Tradition if we can't make acquaintances and explain our love to them? I first fell in love with Catholic Tradition after another traditional-minded Catholic - one who was not above attending the Novus Ordo - had some very good conversations with me and gave me some of Michael Davies' books. Had he been exclusively attending the EF and been aloof from parish involvement, I would have never run across him. But he would occasionally go to the Novus Ordo, volunteered at the festivals, and was always seen at coffee and donuts, where some of our most formative conversations would take place. So beside the question of obligation, I think there is a real evangelical motivation for us making sure we are truly engaged in the life of a parish. After all, we do not simply want the preservation of Tradition, but its restoration, and restoration implies engaging people who do not currently attend the Extraordinary Form and teaching them the beauty of Catholic Tradition. This can hardly happen if we keep to ourselves and do not get engaged. Yes, I know for decades when the very survival of tradition was in question, we resorted to establishing enclaves devoted to tradition for its preservation; but this ought not to be a normative approach, and now that the Extraordinary Form can be offered and frequently is offered in Novus Ordo parishes, there is less justification for an enclave mentality. I am not suggesting you have to attend the Novus Ordo Mass, but I am suggesting that you need to also consider getting involved somewhere, perhaps in a Novus Ordo parish. Be a volunteer the pastor can depend upon, the first one ready to cheerfully put your name on the sign up sheet at the back of the church. Or if you are willing, occasionally attend the Novus Ordo and get to know the regular parishioners, and demonstrate by your joy and charity the formative value of Catholic Tradition. It is a great opportunity to have these important conversations about Catholic identity. Pastors are already afraid of "traditionalists" in many places; why give the pastors more occasion for mistrust by acting as if we don't give a damn about their parish festivals or food pantries or communities so long as we can get a monthly EF out of them? Blogging about Catholic Tradition does not excuse you. Fellowshipping with other traditional-minded Catholics who already see things your way does not excuse you. Saying the traditional Breviary in Latin does not excuse you. If you are not engaged in parish life somewhere, there simply is no excuse. 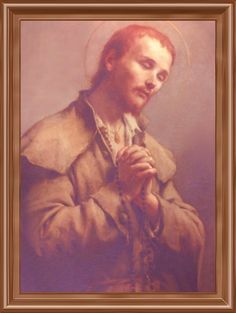 Show the parish that the "stable group" referred to by Summorum is not just dependable when it comes to showing up for the Extraordinary Form, but is dependable to be called upon for whatever task. Traditional minded Catholics should be the happiest of souls, the most dependable volunteers, and the hardest workers, and by their fortitude and charity, can show forth the glory of God. Let each one examine his conscience, my friends. Ever since the pontificate of Benedict XVI, the term "hermeneutic continuity" has been proposed as descriptive of an interpretation of the Second Vatican Council that stresses continuity between pre and post-Conciliar teachings. This "hermeneutic of continuity" is generally opposed to a "hermeneutic of rupture", which sees Vatican II in terms of a break or rupture with tradition. Progressive are generally "rupturists", while conservative, orthodox Catholics favor the hermeneutic of continuity proposed by Benedict XVI and enthusiastically embraced by those advocating a reform of the reform. But what exactly is the hermeneutic of continuity? Is it as self-evident as the simple definition I gave above would lead us to believe? In fact it is not, and while I support the concept of the hermeneutic of continuity, I must firmly insist that we begin by understanding what the hermeneutic of continuity is exactly - and what it implies. To say that the hermeneutic of continuity stresses continuity between pre and post-Conciliar teaching is not sufficient, because there is two ways one can interpret what this means, and as we shall see, much is riding on which approach one prefers. 1) The teaching of the Second Vatican Council is already in perfect continuity with Tradition, and in proposing a hermeneutic of continuity, we are being asking to realize and appropriate this truth. The hermeneutic of continuity is simply recognizing what the Council "really taught" as opposed to what liberals drew out of it. In this interpretation, discontinuity is a myth that must be dispelled by proper catechesis. 2) The teaching of the Second Vatican Council presents a departure from Catholic Tradition, and in proposing for a hermeneutic of continuity, we are being asked to look for a way to reconcile Conciliar teaching with pre-Conciliar teaching. 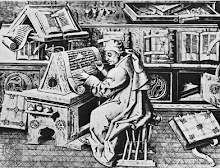 The hermeneutic of continuity consists in new statements or actions on the part of the Magisterium, bishops and priests to bring the Vatican II documents into synthesis with prior Magisterial teaching. In this interpretation, discontinuity is a fact that must be rectified. Look at these for a moment and notice how different the two approaches are. While both call for an interpretive schema that stresses continuity, the former denies the existence of objective discontinuity while the latter actually takes it for granted. It might be objected that the latter interpretation actually puts one in the camp of the rupturists, since it presumes that there is a true divergence between Conciliar teaching and Catholic tradition - an objective rupture. But it is important to point out that a true rupturist interpretation not only acknowledges the rupture, but celebrates it and works to further it. We, on the other hand, acknowledge the fact of a rupture, but work to rectify it, to close the gap, to bring all things into harmony inasmuch as is possible. It is in the second sense that I, too, believe a hermeneutic of continuity is vitally important for restoration. But this does not consist of simply returning to the documents, uncovering the "riches" of the Council, or stressing what the Council "actually taught" as opposed to how it was "implemented." I have written elsewhere on how the Council Fathers noted many problems with the Conciliar documents from the outset; I have also demonstrated that the theory of a council "hijacked" by the media and other outside interests is not tenable. We need, desperately need, a hermeneutic of continuity, but it does not simply consist in rediscovering the documents or returning to what the Council "really taught." These are dead ends. It would be worth asking: if there really is an objective discontinuity, a real rupture of sorts, what's the use in trying to "bring it into harmony" with tradition? Discontinuity, by definition, means there is no continuity, and if so, how can we speak of "reconciling" or synthesizing it? In acknowledging an objective discontinuity, I do not mean to say that the break is so grave, the chasm so wide, that it cannot be crossed. 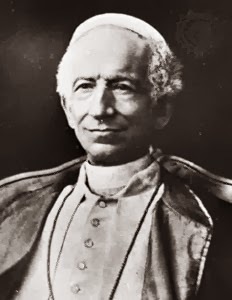 The majority of the Council Fathers, even men of unimpeachable orthodoxy like Marcel Lefebvre, ultimately signed off on the Council documents, which indicates that they must have believed that the documents were compatible with Tradition in some sense, even if only "with great difficulty." 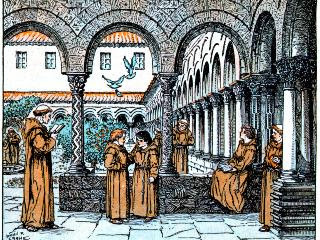 Vocabulary was novel, the manner of speech was different from prior Councils, different angles or aspects of questions were explored which previously had not been, the ends of the Council were pastoral rather than dogmatic, and the very "mood" of the Council was profoundly different from previous Councils. All of these things taken together signify an objective "change of direction" in the Church's understanding of itself - but, as Vatican II itself and Paul VI himself noted, this orientation was fundamentally pastoral, which ultimately means discretionary. If the Church wanted to, they could go back to its pre-Conciliar orientation or even adopt a new one without any change in teaching. So, when we speak of harmonizing or bridging the gap, we mean not the attempt to put a square peg into a round hole, but rather effecting a true metanoia, a change of direction, within the Church, such that her fundamental orientation is realigned with Tradition. But this means we must confess that the orientation is currently not aligned. In calling for a hermeneutic, we are implicitly acknowledging that there is a discontinuity that needs to be addressed. Or, as Chris Ferrara put it recently, "What kind of Council needs a 'hermeneutic' just to understand Catholic teaching?" If the hermeneutic of continuity is more than just "rediscovering the riches" of the Council, then it is in fact something extrinsic that needs to be applied. It is something akin to a syllabus, or an explanatory note followed up by a rigorous campaign of implementation - a dedicated, intentional effort on the part of the Magisterium to impose continuity on the Council by stating definitively how the documents are to be interpreted and bringing them into harmony with Tradition. Can this be done? A recent statement of the SSPX opined that the Council could only be brought into harmony "with great difficulty." But to counter that with Cardinal Newman, "ten thousand difficulties do not make one doubt." So, yes, we need a hermeneutic of continuity, but paradoxically, this hermeneutic of continuity must begin from the premise of acknowledging an objective discontinuity. Only if you acknowledge where you are can you even begin to think about where you ought to be going.